1. It’s called “Not Your Momma’s” for a reason! It won’t taste exactly/much like something from a Manwich can. This bad boy is sweetened with the addition of carrots and honey, but it still delivers that meaty, umami goodness that’s thick enough to serve on a bun. 2. It is just as good aaaall on it’s own, as a kind of chili. I bet it would be ridiculously good under a fried egg or two for breakfast. Just saying. 1.5 tbsp coconut flourStep 1: Gather your ingredients (not shown: jalapenos), and preheat a large skillet over medium-high heat. I always use my 12-inch cast iron skillet. 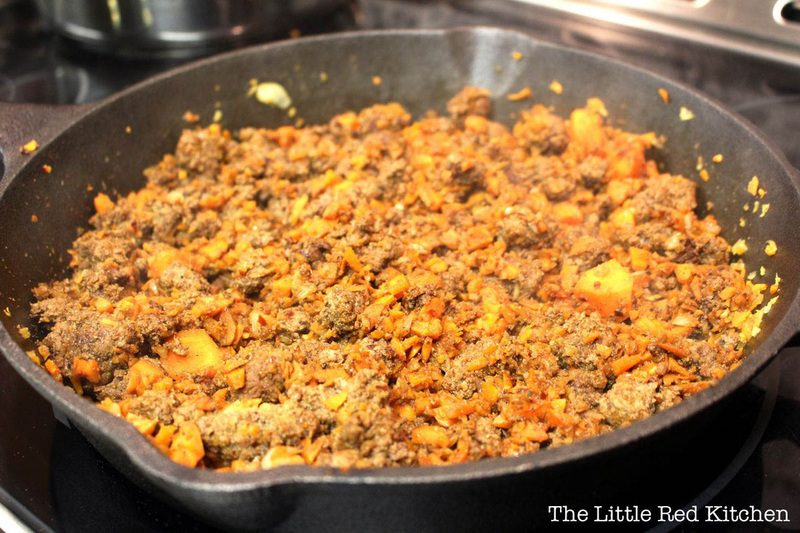 Step 2: Crumble your ground beef into the pan, and brown. 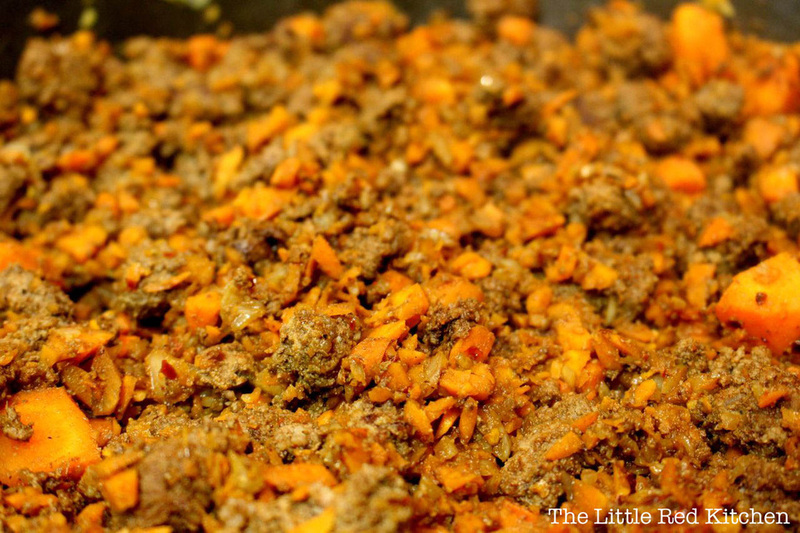 While you’re cooking the beef, you can start prepping the root vegetables: peel and mince. 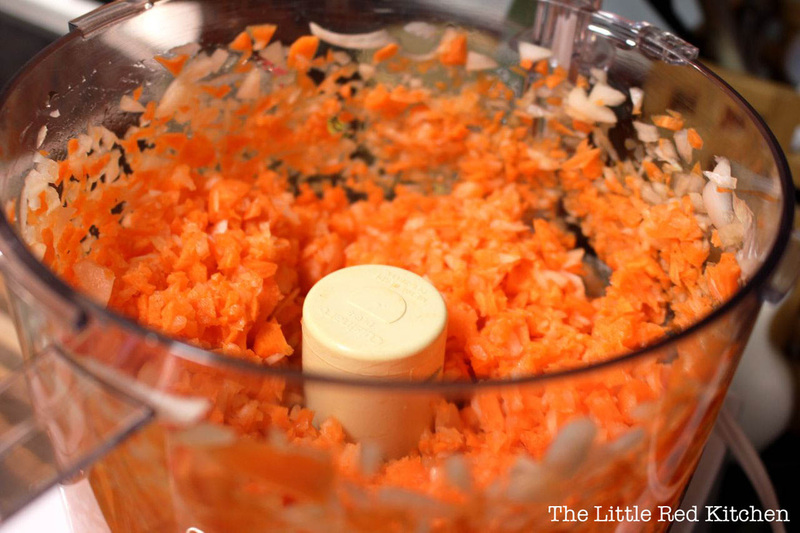 I let my food processor do all of the hard work, but if you’re chopping by hand you may want to prepare your vegetables before starting to cook the meat! 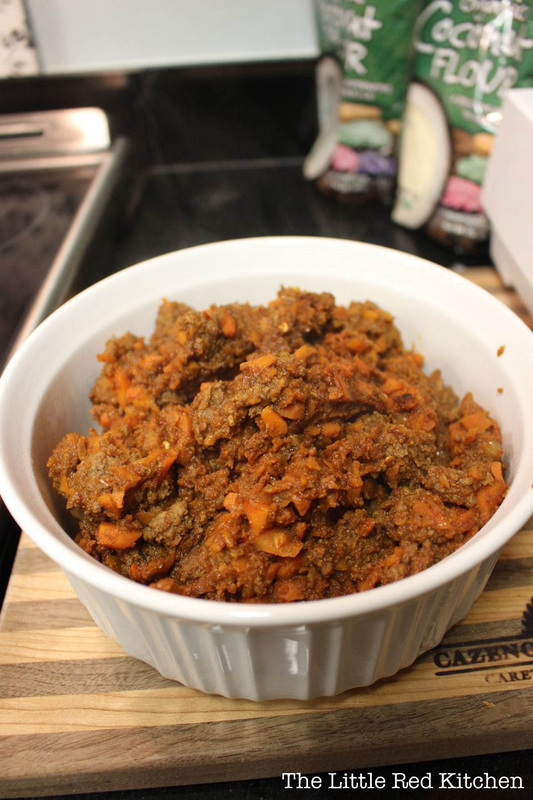 Step 3: Once your meat has cooked through, add in the chopped vegetables, minced garlic, and minced jalapenos. 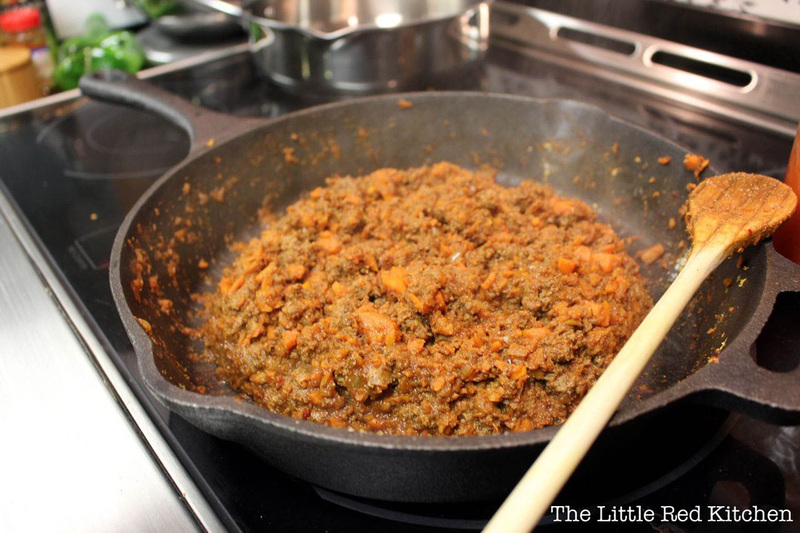 I’m not afraid of animal fat, so instead of greasing the pan, I let the vegetables cook in what comes out of the meat! 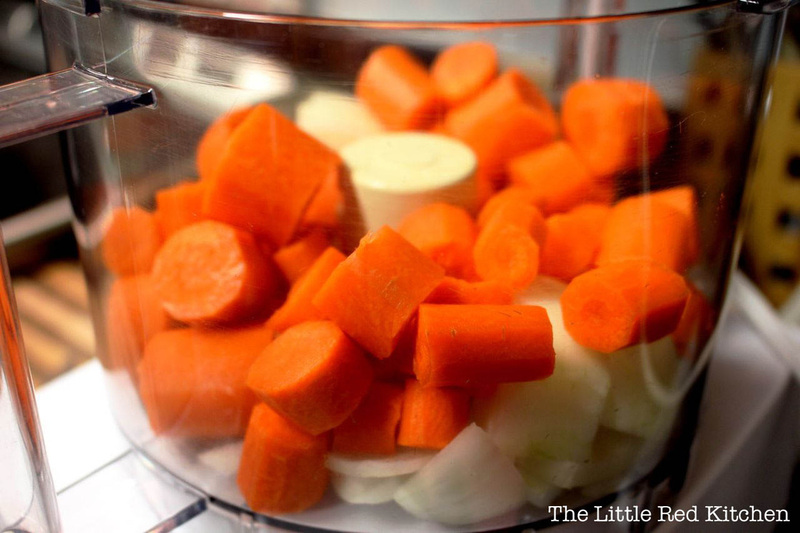 You’re going to saute this mixture until the vegetables have softened up, which shouldn’t be too long (3-5 minutes) since they’re so finely chopped. 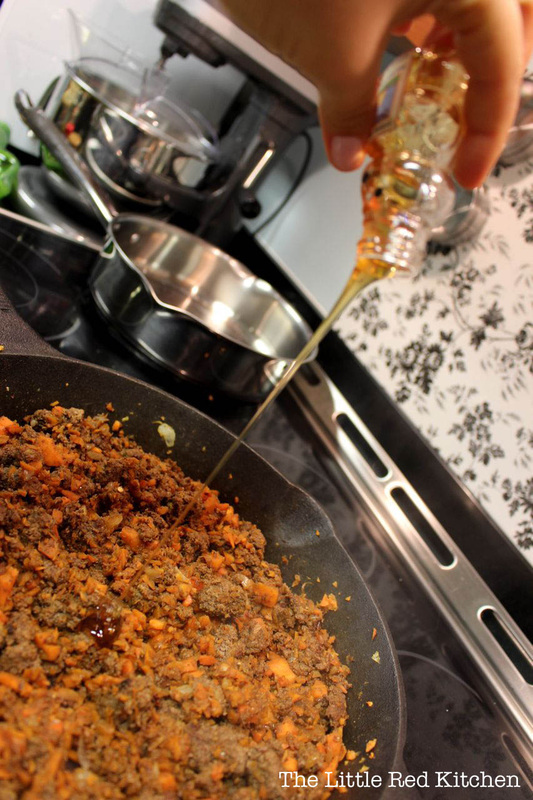 Step 4: As the vegetables begin to soften, add in your spices and mix well. 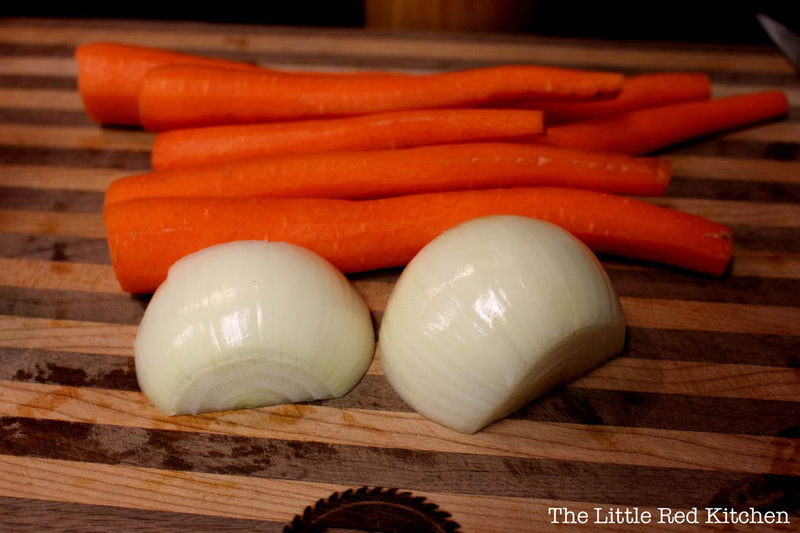 Allow the flavors to meld for a minute or two. Step 5: Add in your honey, and stir well to combine. 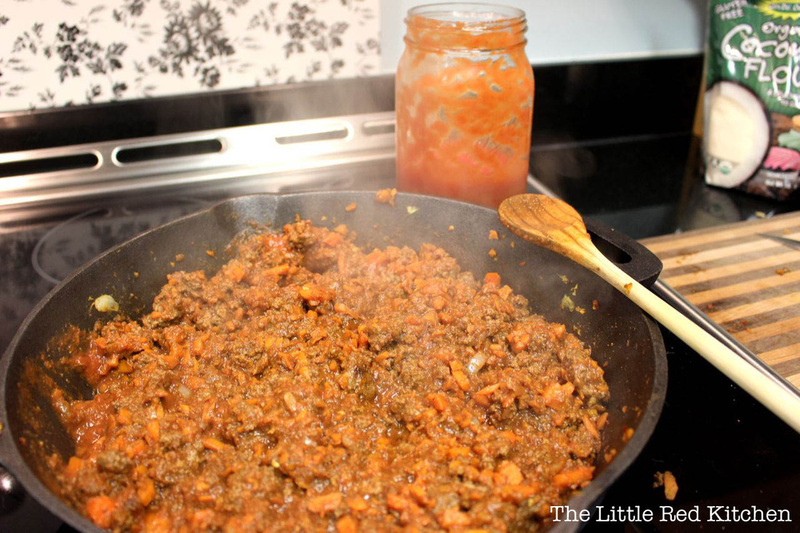 If you like your sloppy joes sweeter, feel free to add some more! 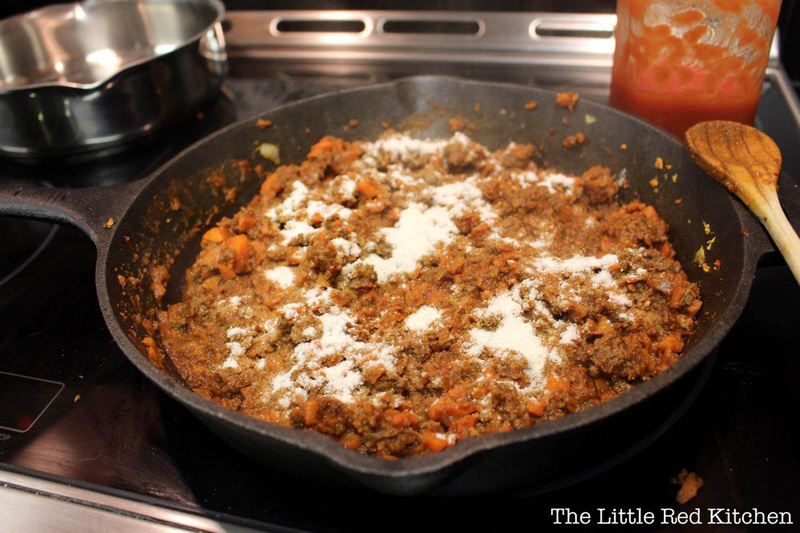 Step 6: Add in the can of Hunt’s tomato sauce, and reduce heat to medium-low. Stir to combine, and simmer for 2-3 minutes to reduce the liquid from the tomato sauce, and also allow the flavors to blend a bit. 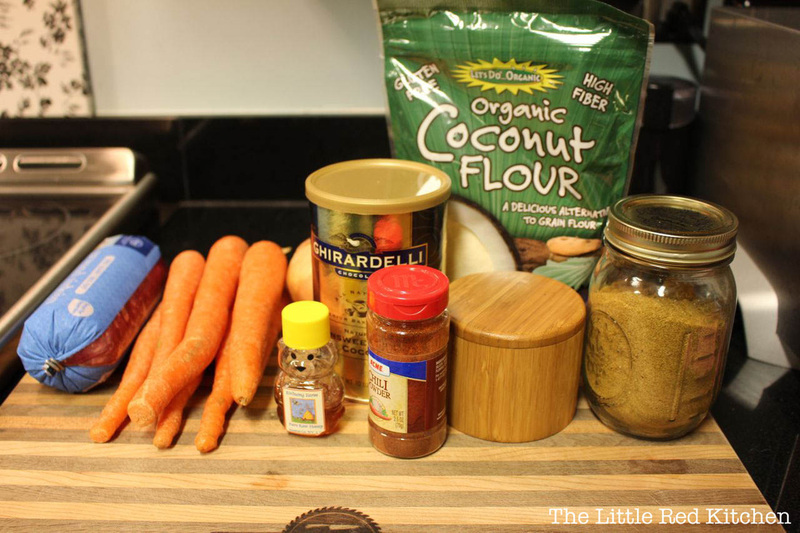 Step 7: Add in the coconut flour, and mix well. This will absorb the additional moisture from the tomato sauce, and thicken the ‘joes up so they’ll stay together on a bun. You don’t have to include this step, though, as it doesn’t affect the flavor. Feel free to devour immediately, but this will also freeze very well. Enjoy!